Albury Taxis have been providing transport services in the Albury-Wodonga region for almost 70 years! We are locally owned and based with a fleet of over 30 taxis. Our fleet includes wagons, sedans and wheelchair access taxis. Albury Taxis provide accessible transport services 24 hours a day 7 days a week. Book and track your transport on your smartphone and watch your taxi arrive. Check out the Albury Taxis App Today! 50% of your fare subsidised up to maximum $60. Contact NSW Transport on 1800 623 724, or view details on the NSW Taxi Transport Subsidy Scheme website. Contact the Victorian Taxi Commission on 1800 638 802, or view details on the Victorian Multi-Purpose Taxi Program (MPTP) website. Repeat clients can establish a credit account. National police checks, Working With Children Checks, continued Professional Development Program. Albury Taxis are a registered National Disability Insurance Scheme provider. Albury Taxis in your Pocket! Our new mobile app gives you the power to book yourself a taxi and track it’s progress all in the palm of your hand! 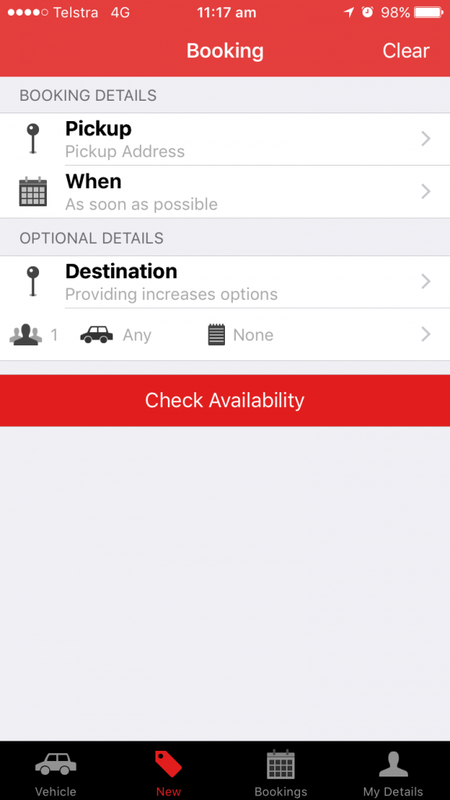 Confirm your booking within minutes and with tracking of your drivers location and realtime status updates – know just when to head outside. Available on iPhone and Android, be sure to check out our new app!